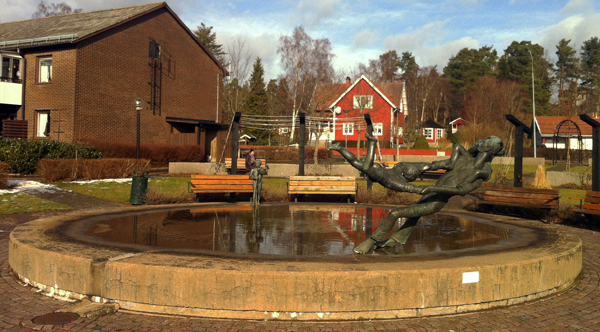 My dog Lisen and I went for a walk in Rödeby today and on our walk we stopped by the lovely sculpture "Rings On Water", which is placed in the middle of Rödeby Square here in Sweden. Even though I have lived in Karlskrona pretty much all my life I actually had no idea this sculpture existed until a few months ago. 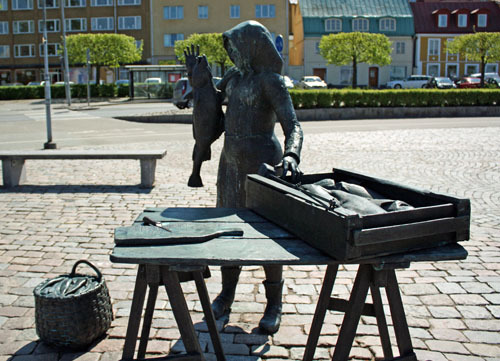 I discovered it when I did a some research for my post "Fish Market Square in Karlskrona" and Karlskronas most photographed works of art, the statue “Fisherman's Wife”. 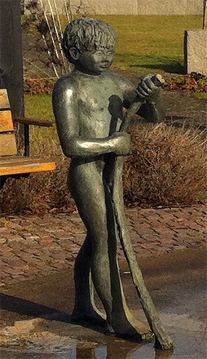 It turned out that Erik Höglund, who also created “Fisherman's wife”, had made several other sculptures placed around Karlskrona, whereof one was "Rings On Water". 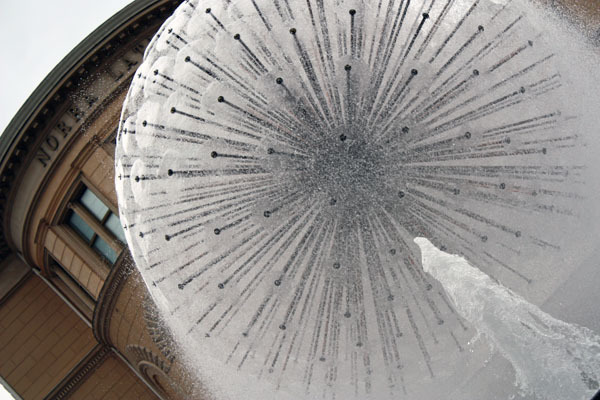 Although Höglund's most famous artwork is "Fisherman´s wife", my favourite sculpture by him, ever since I found a photo of it online, is "Rings On Water". 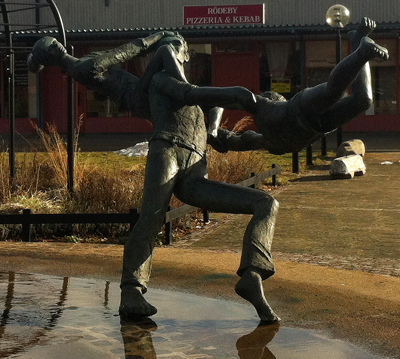 A sculpture I must have seen before, because I have been on Rödeby Square many times, nevertheless I cannot remember having ever really looked at it. 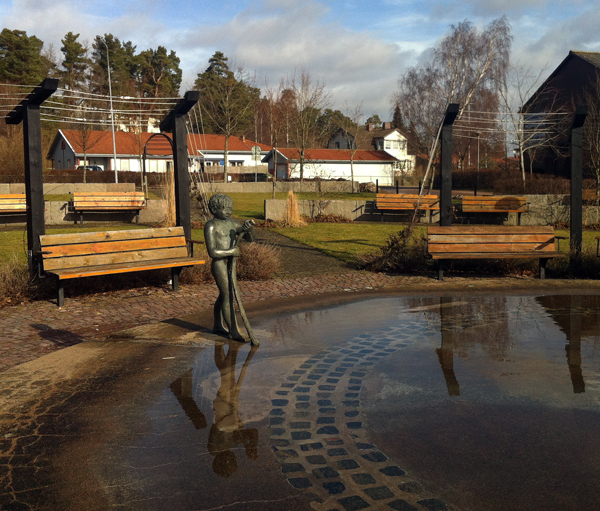 So today on my walk with Lisen I decided to drop by Rödeby Square to take a closer look. 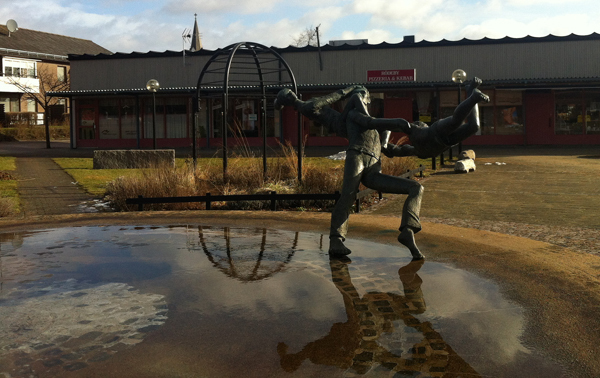 "Rings On Water" on Rödeby Square in Sweden by Swedish artist Erik Höglund in 1976-77.